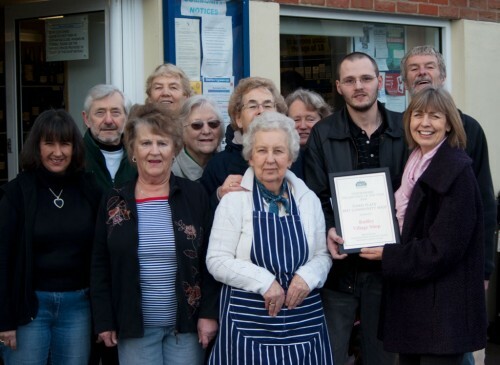 Shop stalwarts, Bob and Pat Earl, have been recognised for their long-standing commitment to Radley Village Shop with an Unsung Hero Award from the Vale of White Horse District Council. 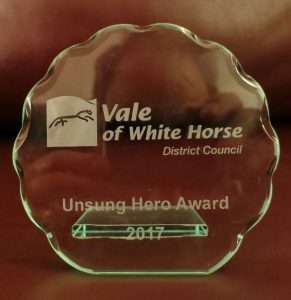 The award was presented by Councillor Reg White, chairman of the Council, at a celebration lunch at the Beacon in Wantage on Saturday 4th November. Pat was unfortunately unable to be present and so Bob accepted the certificate and commemorative glass plaque on their behalf. 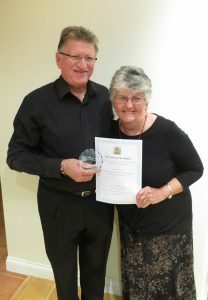 Bob and Pat were nominated by Radley Parish Council for their major contribution to the success of Radley Village Shop. 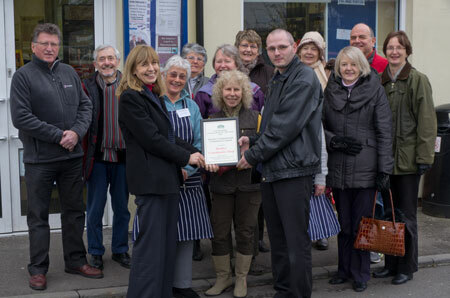 Speaking after the event, Bob said that they saw the award as recognition of the hard work of all the volunteers at Radley Village Shop, emphasising that it was a joint effort by everyone involved. Bob and Pat work regular shifts at the shop and are both members of the Shop Management Committee. 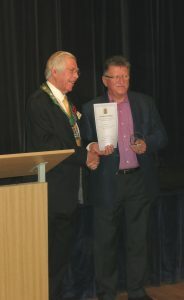 Bob has been chairman since June 2011. He managed the project to fit out the shop before it opened in May 2007 and has been the shop’s maintenance co-ordinator ever since. Pat has been a volunteer since the shop opened and a committee member since January 2009. She is one of the two operations managers who support the shop’s full-time manager, John Goodenough, and take on responsibility for his key tasks when he is on holiday or off sick.